As some of you may know, using video for your company and for your clients is one of the BIG strategies in today’s age of free video services like “YouTube” and “Vimeo.” Did you know that 60 hours of video is uploaded to YouTube every single minute? Even still, there are several businesses that are not so eager to jump on the video marketing bandwagon. In fact, the #1 reason many businesses resist is due to the fear that it will not produce a return on their investment, but this couldn’t be further from the truth. In a recent B2B Magazine study, Content Marketing: Ready for Prime Time, marketers were asked to rate their satisfaction with the performance of various channels, video (53%) ranked higher than social (51%), games (47%) and live events (46%). When using video in your marketing efforts, the possibilities are limitless! Video is effective for your marketing because video is engaging, period. According to an IDG Research Services survey, What Media and Devices Motivate B2B Tech Buyers, 95% of B2B tech buyers view tech-related videos and 82% of the respondents reported that they post, forward and/or share work-related videos with colleagues. Integrating video in your email marketing efforts is your next step to better marketing results because you can give a voice and a face to your brand. Over 60% of people said that they preferred video over text when viewing the exact same content. So what are you waiting for? Give the people what they want! 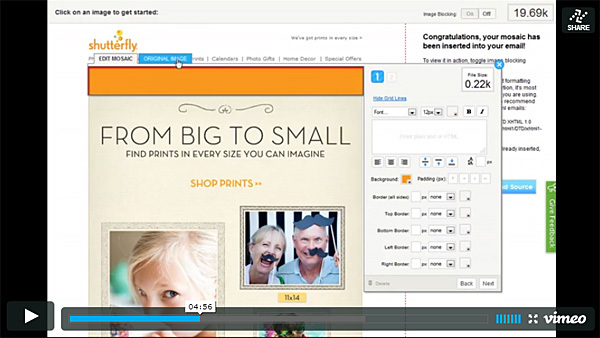 Check out this list of 11 creative ways to use video in your email marketing campaigns. Let’s talk about webinars for a second. Webinars are an incredible tool for establishing your authority in the marketplace and generating interested leads. A recent Marketing Sherpa study showed that the second-most effective social marketing tool after website design was virtual events and webinars. Webinars are generally meant to be educational and are a very effective channel for pitching your products or services. Another reason webinars are so effective is their ability to target a specific topic and they can be archived for future viewings. People who attend the webinar are usually highly focused on your topic and this is a perfect way generate new leads and communicate yourself as an expert in the market place. It also produces a means for them to ask you questions and for others to learn from your responses. Moral of the story, if you are not doing webinars you are missing a HUGE opportunity to hone in on your hottest prospects on a massive level. If you have never executed your own webinar before you may be a little nervous, but don’t be! 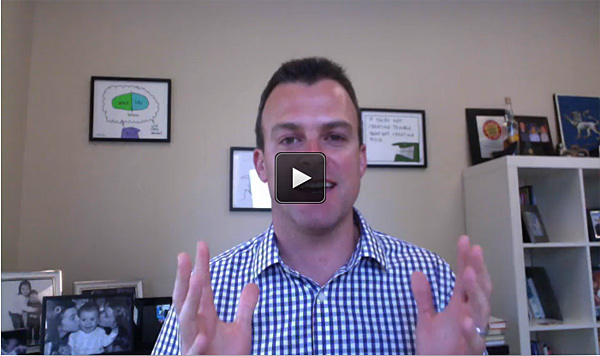 If you are looking for some helpful guidelines and rules on creating and executing webinars, check out the video below from Mike Alaric to give you 24 new rules for creating a great webinar presentation. If you are looking for some helpful guidelines and rules on creating and executing webinars, check out this video so you can learn how to effectively leverage webinars in your lead generation tactics. Another great way to pitch your products is to produce a series of educational videos. Instead of holding a long webinar, you could break up your lesson into a series of short, insightful videos that build on top of each other. 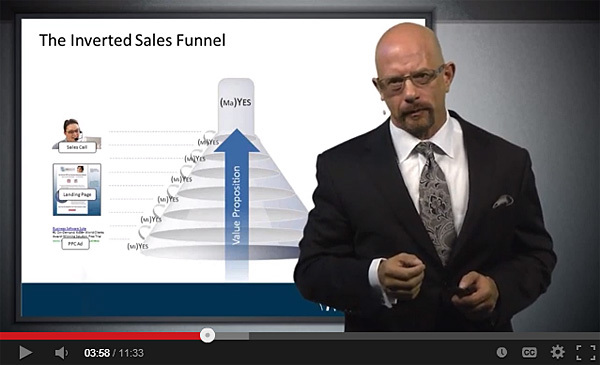 Similar to webinars, each educational video can address a pain point that your company can help solve. These types of videos should include a clear call to action to ensure you are getting the most out of your investment. Check out Mike Cooch’s series of instructional videos below. This is a great example for how you can present all of your educational videos by allowing your viewers to navigate from one to the next. You will notice that Mike does not give long, drawn out speeches, instead he keeps each video under 20 minutes. Coming out with a new video each week gives you an excuse to send more email campaigns! Each campaign can contain text geared toward hooking new clients and warming up prospects through the power of continuing education. Facebook contests can drive huge fan growth over a short period of time and can make an impact on the popularity of your Facebook page. For example, Brush Buddies is a company that produces singing toothbrushes. I guess even the most mundane tasks require a little entertainment these days! Nevertheless, they ran a Facebook campaign to find the best singer for the job. Using SocialAppsHQ they let people upload a video of themselves singing and the fans could then vote to find the best artist. Fans were also allowed to comment on the video uploaded and share it out to their social network. During the competition there were over 23,000,000 impressions, 65,300 votes, 29,200 votes for the most popular video, 34 Twitter trends, and 30 contestants in over 8 countries. If there is a good enough incentive, anything is possible using Facebook! Check out all of the stats from the Brush Buddies content below. Interacting with each and every customer on a personal level, regardless of how much they pay you, is necessary step in making sure customers stick for the long-haul. Your customers are real people, not just another number on a spreadsheet. Instead of spitting out a generic thank you email that sounds recycled, remember that your customer is looking for a real and personal connection. When offering products or services, one of your main goals is getting customers, but have you thought much about what you need to do to keep your customers? A great way to show your customers that you care about them is to produce a series of heartfelt videos. Messages can come from higher ups in the company or from your customers themselves to add to the lifetime value of your clients. The video below is a “thank you” message from “Charity: Water.” This is a perfect representation of how a personal message can pull at your heart strings and make a difference. I encourage you to watch the video below and see how genuine this message really is. If you are like us, your enthusiasm for your product is contagious! When you talk about it, people understand the value immediately, but do you have time to sit down with every prospect, one-on-one, to walk them through it? That’s where the power of the “demonstration” video comes in — you can capture your product’s best features all while entertaining and engaging your audience. Plus, a video makes it easier for fans to pass around so they can tell their own peers why they love your product so much! Whenever you are selling something, whether it is tangible or intangible, you must provide your new user with an “instruction guide” to some extent. Even if you think your product is self-explanatory in nature, trust me, there is someone out there that will be absolutely befuddled upon first glance. Check out Mozify. This gives our users a snapshot for how the product works so they can make a more informed decision on whether or not to make a purchase! You can shower praise on your own product for days, but when it comes down to it, it means a lot more coming from the people using it. That’s where testimonials come in. Client referrals are the best measure of your performance, and to be perfectly honest, referrals can help reduce time and money spent on marketing. Written testimonials are absolutely fantastic but videos are a perfect medium to tell the story of your business through the eyes of your customers. Don’t have any customers knocking down your door to sing your praises? That’s ok, in fact that’s normal. People generally share their opinion more readily when they are unhappy with a service opposed to loving it. That is why it is essential that you ask for referrals. This strategy may be a little uncomfortable at first, but you would be surprised how quickly people will share their positive experiences when prompted to. Don’t be afraid to contact some people and see where it goes. I am sure you’ve heard of the tiny, little shoe company called Nike right? I thought so. 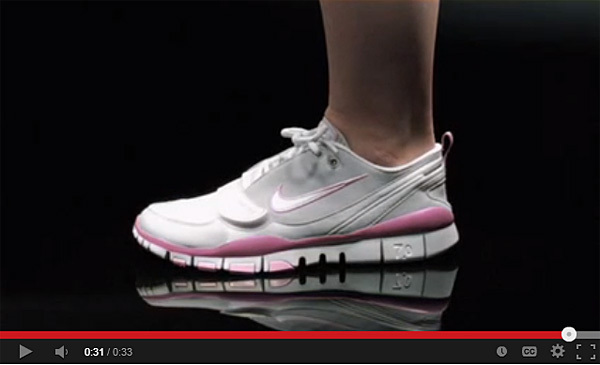 In the launch of their new “Nike Free” product line, the major selling point of the shoe was that they made your foot feel “natural.” Take a look at their creative twist in their customer video testimonial where they quite literally let the feet do the talking. When you are running email marketing campaigns, you are probably hitting your list with a lot of pitches, offers and promotional emails. It is crucial to remember that there is a delicate balance in the relationship between your email list and your company. They agreed to be on your list because they believe that you can provide value to their life in some way or another. That is why you need to ensure that you aren’t constantly slamming your list with purely promotional material. On top of your promotional emails, you need to be giving industry tips and tricks to make their life easier. Regardless of what products or services you sell, creating quick videos that help your audience save time and money is a win-win. Plus, it will probably decrease your unsubscribe rates! It’s important to realize that email is a long-term strategy. You don’t just send one email out and you’re done. You make it a point to show up in your prospects’ inbox on a regular basis because each time you do this, you’re planting a seed. As I mentioned in #7, offering valuable information to your list is essential in nurturing your list. People usually don’t buy right away so keeping people on your list for months and even years can be challenging. One way to keep your audience engaged is by leveraging a third-party source that is an industry expert. Regardless of the topic the interviewee is speaking on, it is always beneficial to bring someone on to give a new, fresh take on a trending or educational topic. Never conducted an interview before? That’s okay! Check out the video from Vimeo for an awesome walk through on 10 steps to shooting your first DIY interview. TV used to be the only place where we were seeing digital advertising, but now commercials are jumping off our flat screen TVs and onto our laptops. More and more we are seeing commercials as a viable CTA in our email marketing campaigns. In an October survey of marketers and consumers by Adobe, US marketers even rated online ads better than TV ads. Instead of creating lengthy email text, give that keyboard of yours a break and link to a commercial for your product/service. You see commercials every day on the TV and the web, but seeing it in the body of your email could shake things up for your audience. Solid writing is always an important step in creating good email marketing campaigns, but sometimes it’s necessary to switch up your approach and rely more on your humor than your multi-line sales pitch. Check out this brilliant commercial that not only tells the story effectively, but also entertains. The buying process can be broken down into 5 simple phrases: Know, Like Trust, Try, Buy. Piggy-backing off the “know, like, trust, try, buy” process mentioned in tip #10, compiling quick interviews of every staff member is a great way to resonate with your audience. When you create a “team video,” your potential customers and clients can get a feel of your company as a whole, the entire picture. If you really think about it though, what makes a company a whole unit is the collaboration of every individual within that unit. In the example below, Vimeo has launched “One Minute Wonder,” a series of video portraits of artists, entrepreneurs, and designers telling their personal story in 60 seconds flat. Incorporating this approach at your company could give an insider’s look into why your company is so great. 22% of US small businesses plan on using video in the next 12 months to promote their business (BIA/Kelsey), do you? Comment below and let us know! Also, be sure and share any ways using video has helped you jump in front of the competition.